Sahara Force India announced Gatorade UK, the sports performance nutrition specialists, as an official supplier of the team. electrolytes that athletes lose in sweat during athletic competitions. By linking up with the Sahara Force India Formula One team, Gatorade's product range will be put to the test at the pinnacle of motorsport with the task of keeping the drivers, mechanics and engineers performing at their peak. "To be successful in Formula One, you have to optimise every area of the team, especially human performance. That's why our relationship with Gatorade is an important step for Sahara Force India and we look forward to benefiting from their expertise as a leading sports fuel supplier. 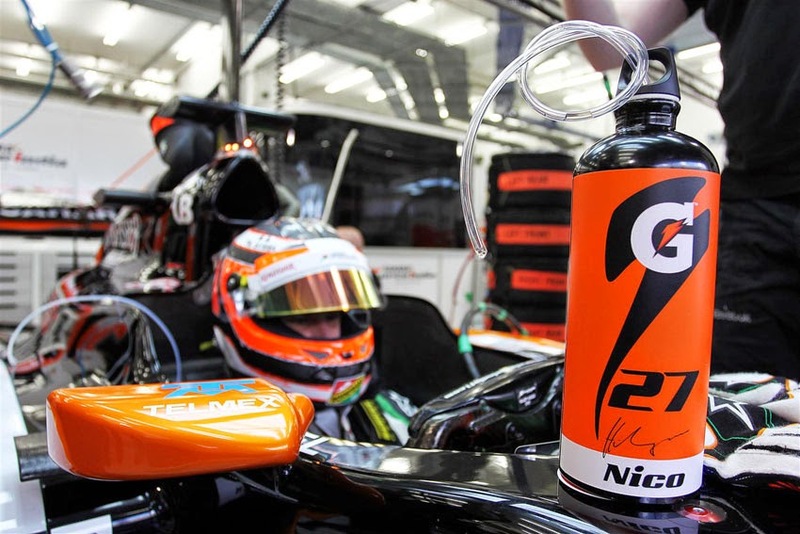 Thanks to Gatorade's wide range of products, we can provide all team members with the proper hydration and nutrition to help them perform," said Otmar Szafnauer, Chief Operating Officer of Sahara Force India. Alex Armstrong, Gatorade UK Marketing Manager, added, "We are extremely pleased to join up with Sahara Force India and are looking forward to an exciting first season working together. Their recent podium in Bahrain shows the team is ready for even greater success and, in Nico Hulkenberg and Sergio Perez, they have one of the most exciting driver partnerships on the grid. We wish them both every success in 2014."